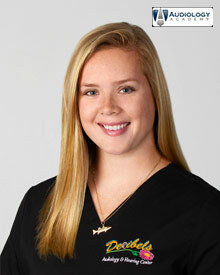 Brittany Gates, Au.D, a Naples Florida native, joined Decibels Audiology and Hearing Center in the Summer of 2016. She received her Bachelor of Science in Communication Sciences and Disorders from Florida State University in 2013. 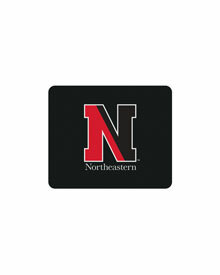 Brittany received her Doctorate in Audiology from Northeastern University in May of 2017. 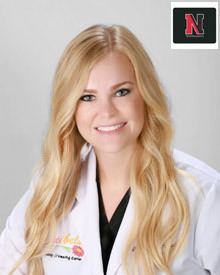 She is passionate about hearing health and enjoys forming relationships with patients to ensure that each of their own unique hearing needs are addressed. She is thoroughly enjoying being back in her native hometown after several hard winters in Boston and will be spending the majority of her free time out in the warm sunshine. 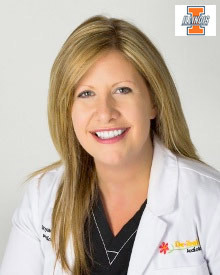 Dr. Sarah Thomas, Au.D., originally from Ohio, joined Decibels Audiology and Hearing Aid Center in the Fall of 2015. 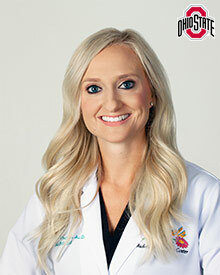 She completed a Bachelor of Science in Hearing, Speech, and Language Sciences from Ohio University in 2009 and earned her Doctorate in Audiology from The Ohio State University in 2013. 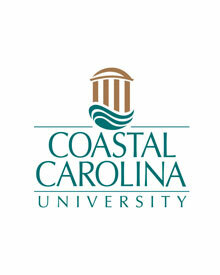 Dr. Thomas completed her externship and continued on as a Doctor of Audiology at Charleston Ear, Nose, & Throat Associates in Charleston, South Carolina. Throughout her experience as an Audiologist, Dr. Thomas has enjoyed working with patients to support their hearing in a variety of challenging environments in order to care for their overall health and wellness. She and her dog, Khloe (a cockapoo), are adjusting to life in Southwest Florida quite nicely; they both enjoy afternoons at the beach and watching Ohio State Football games. 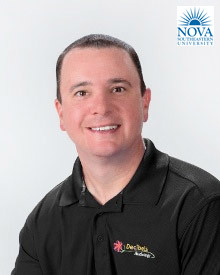 Andy Schaps, Audiology Assistant at Decibels Audiology and Hearing Aid Center, is a 2012 graduate of the Nova Southeastern University Audiology Assistant Program. 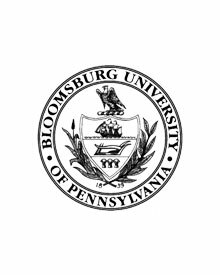 This program is nationally recognized as the best Audiology Assistant training program in the country. He completed his fellowship at Decibels Audiology and Hearing Aid Center in 2013 and has since become the MOST REQUESTED member of our Audiology team! Not only is he popular with patients, the staff love him as well! Andy has been awarded the Decibels Audiology Employee of the Month Award every month since he created the award in February of 2012. The rest of us don’t stand a chance. A local, Andy grew up in Naples and graduated from Barron Collier High School. Before joining Decibels Audiology, Andy served as a manager at an upscale hotel for eleven years. 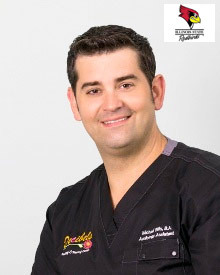 In his free time, Andy values spending time with his wife and two children, and he enjoys the warm weather and outdoor activities that life in Southwest Florida offers. Michael Ellis, Audiology Assistant, relocated to Naples in 2014 from the Chicago area. After graduating from Illinois State University in 2001, Michael managed his family's hardware store, Ellis Ace Hardware, in Seneca, Illinois. During his time at Ellis Ace Hardware, he enjoyed finding new products, and delivering exceptional customer service to the many people who frequented the store. His business and customer service expertise lead him to be awarded the first ever 40 under 40 Award in Starved Rock Country. He founded and ran several local business organizations and participated in efforts to boost local tourism and revenue. Michael loves working at Decibels Audiology and Hearing Aid Center because of its amazing culture of service and teamwork. He loves the patients and getting to know about their lives and interests. Michael remains very close with his family, and he flies home to Chicago whenever possible to attend his nieces' games or concerts. He also has a puggle named Buddy, who he takes to the dog beach often. Michael competes with April for the Best Laugh Award at Decibels Audiology -- his laughter, smile, and boisterous nature is infectious and a delight to all who know him! Kelsey Spicer was born and raised in Naples, Florida and says that she could never picture herself living anywhere else. She has worked in the medical field for nearly 10 years and was the Patient Care Coordinator for a local ENT before joining Decibels Audiology. Kelsey received her degree as an Audiology Assistant from Audiology Academy while simultaneously taking night classes to become an EMT. 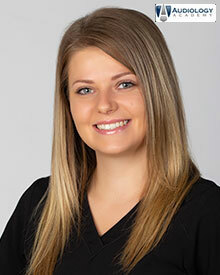 Kelsey is very easygoing and especially loves getting to know her patients, saying that it “makes my day when they’re happy”. In Kelsey’s spare time, she enjoys riding, boating, and fishing with her husband and little boy… and she of course loves Disney! Jenny describes herself as a Florida girl. She grew up in Naples and absolutely loves the ocean... saying that the beach is her happy place! She loves being out on the water, whether she is on the beach or in her boat. Jenny says that her husband and children are the most important people in her life and they love to spend time together as a family. Jenny genuinely enjoys working and meeting new people along the way. April Royan, M.A., originally from Chicago, Illinois, is an Audiologist and owner of Decibels Audiology. Ms. Royan received a Bachelor of Arts in Audiology from Illinois State University and a Master of Science in Audiology from the University of Illinois. She is a former Audiology Training Manager for a major hearing aid manufacturer and was awarded the Outstanding Customer Service and Patient Satisfaction Award from 2009 through 2016 from AMG, a national Audiology organization. 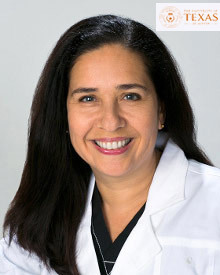 She has been recognized by Gulfshore Life’s Who’s Who in Health and Top Doctors publications. Ms. Royan was selected for the 2009 through 2016 Best of Naples Awards in the Audiologists category. In 2015, Ms. Royan was awarded the prestigious Gulfshore Business 40 under Forty Award. Most recently, Decibels Audiology was the winner of the Naples Daily News 14th Annual Southwest Florida Choice Awards for Best Hearing Aid Center, making this the 6th year in a row they have won this readers-choice award. In her personal time, April and her family travel the country in their RV! 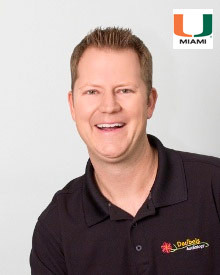 Mark Royan, B.S.S.A., is originally from Homestead, Florida, though he has lived in Naples since 1986. Growing up in the area, he remembers when “Immokalee Road was just a road to Immokalee.” He holds a Bachelor of Science in Systems Analysis from the University of Miami and, as his 4 year old will tell you, “is super smart about computers.” Mark is a proud Eagle Scout and started his first business when he was just 16 years old building computers for local businesses (drawing supplementary income from working at Dominos pizzas in the evenings). His hard work paid off - in 2006 he opened a local IT Consulting Company that he later sold in 2012. Mark wears many hats at Decibels Audiology including Co-Owner, Chief Financial Officer, Chief Technical Officer, Director of Human Resources, and Director of Keeping Everyone In Line 🙂 In his spare time he enjoys cooking, running, working toward a black belt in Brazilian Jiu Jitsu and spending time with his wife, April, and his two little boys. 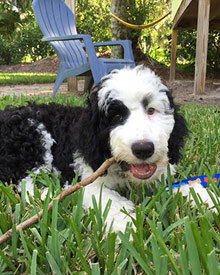 Gatsby the Super Pup is an incredibly fluffy, ultra-snuggly, super-smart Portuguese Water Dog. When he’s not laying at Mark’s feet or searching for belly rubs around the office, he’s chewing on shoes and dreaming up a marketing plan for his pup-owned design empire: Fixer Pupper. Gatsby has no degrees and no experience in Audiology, but he sure does get a lot of ear infections. Gatsby loves treats, bones, toys and sniffing for forgotten crumbs, and is delighted to make an appearance during your appointment by request.